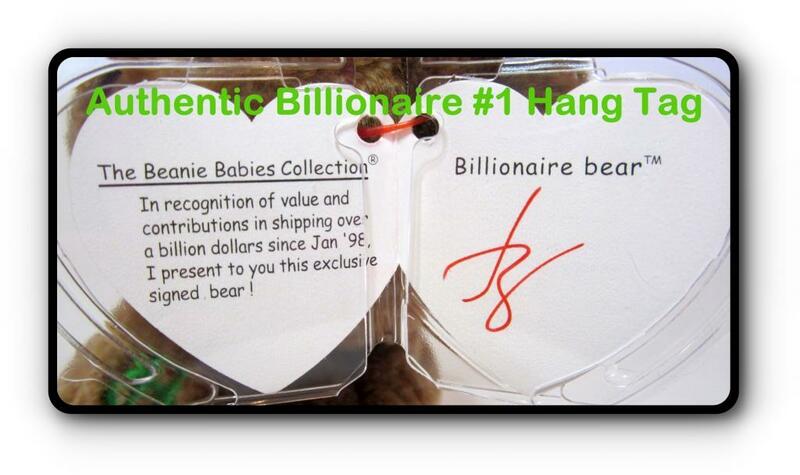 The Ty Beanie Baby Billionaire #1 Bear Video discusses all the details of an authentic Billionaire Bear. 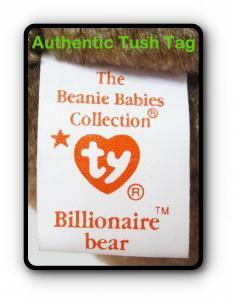 Below the video are pictures of the Authentic Ty Billionaire #1 Beanie Baby, as well as the hang and tush tags. 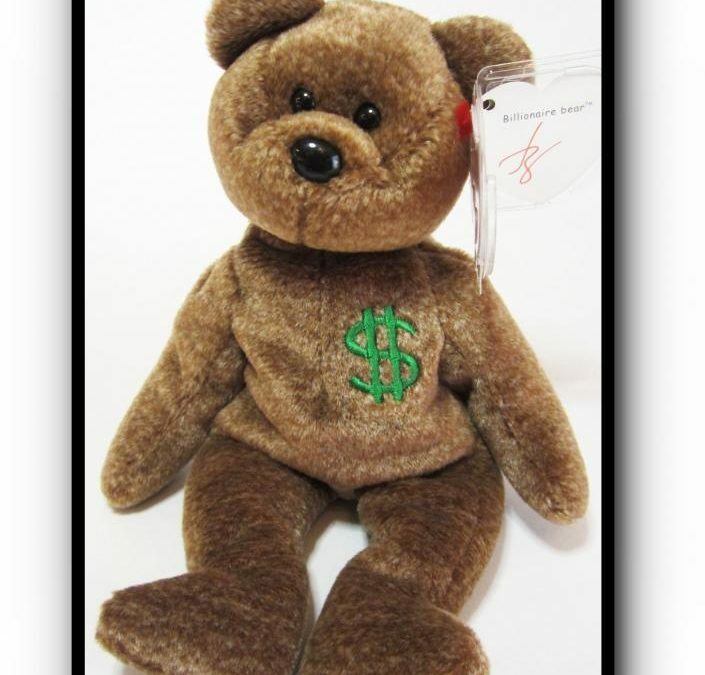 Billionaire #1 Bear has a multi-color fabric consisting of a variety of brown, cream and tan colors. There is just one large dollar sign embroidered on his chest in a kelly-green color. 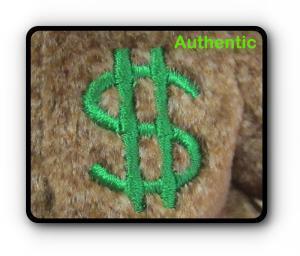 A close up picture of the large embroidered dollar sign. The inside of the hang tag is signed by Ty in red ink. 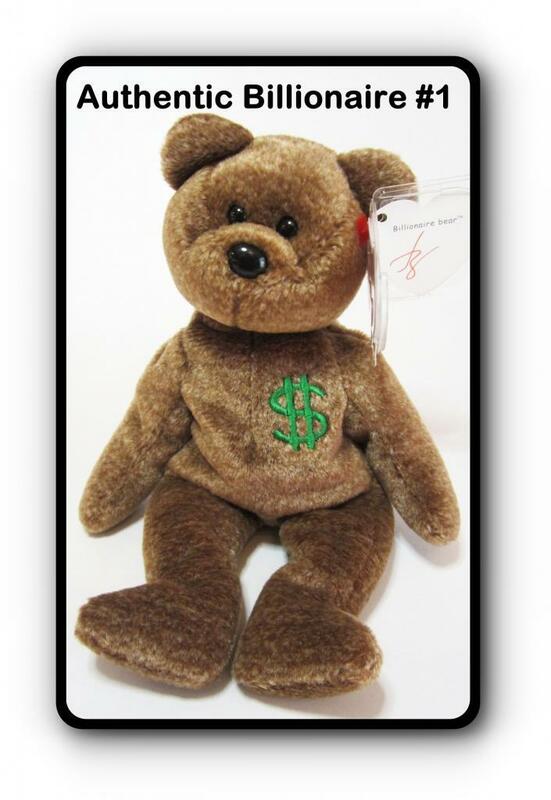 The back of Billionaire #1 Bear’s hang tag shows the Ty event where the Bears were handed out – Ty Employee Party Oakbrook Polo Club September 26, 1998. The ONLY tush tag that came on Billionaire #1 is a 6th generation. 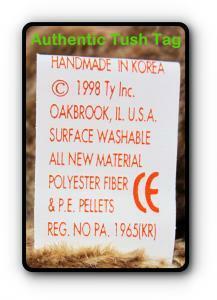 These tushes ONLY came with a 1998 copyright date and “HANDMADE IN KOREA”, not China.